Sidney Blumenthal has 1 media appearance. Sidney Blumenthal reads from The Strange Death of Republican America: Chronicles of a Collapsing Party. Sidney Blumenthal discusses The Strange Death of Republican America: Chronicles of a Collapsing Party. Former advisor in the Clinton White House discusses and signs his book. Sidney Blumenthal is currently considered a "single author." If one or more works are by a distinct, homonymous authors, go ahead and split the author. 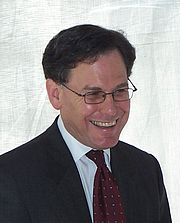 Sidney Blumenthal is composed of 6 names. You can examine and separate out names.